Koós János ‎– Koós 3. A lemez sztereó és mono hangszedővel is lejátszható. - The record can be played with a stereo or mono cartridge. The durations of tracks are not printed on the release. The tracklist and the name of main artist printed in Hungarian, English and Russian on the back cover. The main title printed as "Koós 3." 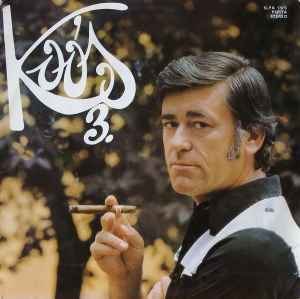 (on front cover) and "Koós III." (on labels).